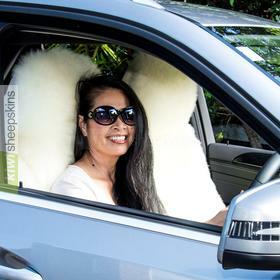 The bike seat cover's shorn sheepskin absorbs perspiration helping you keep cool when warm and provides warmth in cold weather. 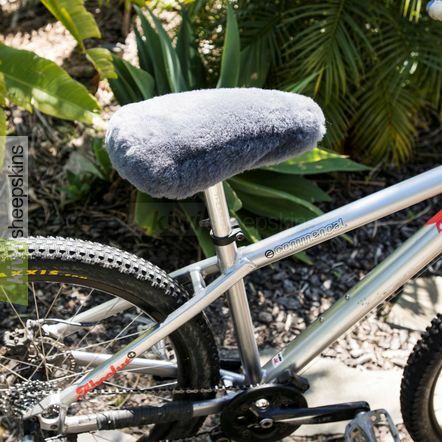 The dense wool fibers cushion you giving you a more comfortable ride. Stretchable elastic base holds the cover in place allowing easy fitting and removal. Tourer bicycle: 26 x 24cm (10.25 x 9.5in.) 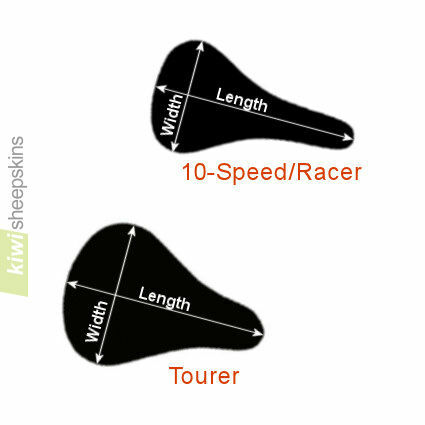 Tourer bike size may be suitable for some exercise bike seats, check measurements above. Bicycle seat cover customer comments. I received today the bicycle seat cover and it's just amazing! Thank you for everything and taking care of every detail! It's been so fast and I love it! Thanks! Just a quick note to say how impressed I was with the speed of delivery of my bike sheepskin cover. Ordered it Friday just before lunch and I had it on Saturday via our rural post. Exceptional service and a great product as well. Keep up the great work and I will spread the word on your fantastic service.